One of my good girlfriends is an Independent Consultant for Tastefully Simple. I have gone to a couple of Tastefully Simple parties, and I do love their products, but I have been looking for ways to use the products I buy for fast,easy, weeknight meals. There are some great recipes on the Tastefully Simple website that shows different ways to use the products. I loved the Artichoke and Spinach dip, but after buying the mix I never ended up making the dip. 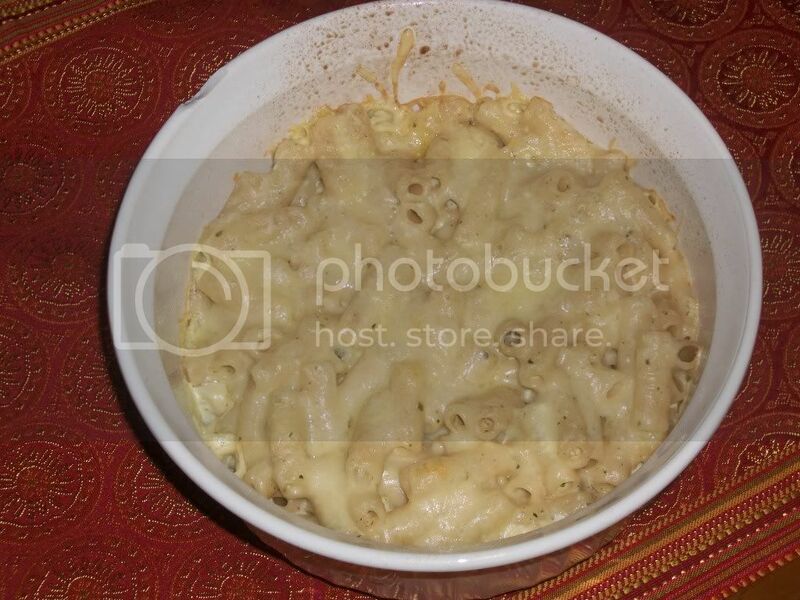 Instead I found a great recipe on the Tastefully Simple website that uses the mix to make a creamy mac and cheese. It was very easy and didn't take much prep time to make. You just need to add a few ingredients: milk, cream cheese and shredded swiss cheese with the packet, and then pour over cooked pasta. I added some more cheese on top and then baked it for about 15 mins just so everything could melt together and the top could get a little brown. The recipe states to brown it under the broiler, but I prefer to just bake it for a little while. It keeps the top from getting too crispy. If you are interested in ordering this product, or any other products, you can place an order through Rachael here. I placed my order on a Sun and I received my shipment by Thurs. I love that even if you buy through a party, they ship to your own home. You don't have to hunt down your hostess to get your product. Combine first 3 ingredients in a medium saucepan; heat on low and whisk until smooth. Stir in 1/2 cup Swiss cheese; heat and whisk until smooth. Do not boil. Season sauce to taste with salt and pepper. 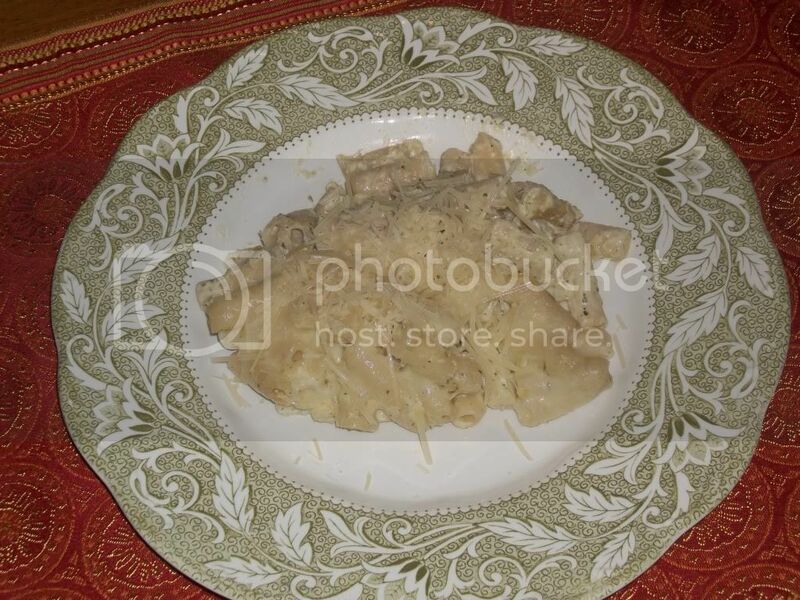 Combine cheese sauce and hot pasta; spread mixture into a greased 8 x 8 baking pan. Top with remaining cheese. Place pan under broiler until cheese melts and is lightly browned, 5-7 minutes (or bake on 350 for 15 mins). Add some parmesan cheese right before serving. Makes 6-8 servings. I'm finally going to try this for lunch tomorrow!